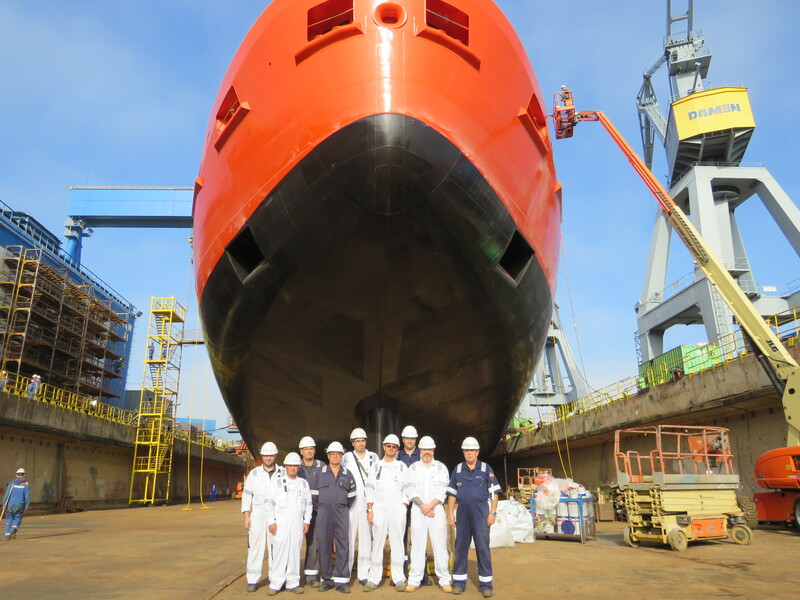 Dutch shipbuilding group Damen recently performed the successful float-out of the Antarctic Supply Research Vessel (ASRV) RSV Nuyina, currently under construction at Damen Shipyards Galati in Romania. The RSV Nuyina will be a state-of-the-art ship that will offer scientists unprecedented and extended access to the Southern Ocean and Antarctica. Damen is building the 160-meter long research vessel for Serco subsidiary DMS Maritime, acting on behalf of the Australian Department of the Environment and Energy. Mr Mark Irwin, Chief Executive Officer, Serco Asia Pacific thanked the project team for their efforts in the lead up to the float-out milestone. “The team have put in a tremendous effort to meet the deadline for the floating of the Nuyina and I commend them for their hard work and dedication to this exciting project,” he said. ICE is proud to be supporting Serco in this prestigious project by providing yard construction supervision.